Glass water bottle silicone sleeve is non-toxic, tasteless, environmentally friendly and can be in direct contact with the skin. It is resistant to high temperatures, ageing and durability. Its unique design, beautiful appearance, and very practical. Glass water bottle silicone sleeve is non-toxic, tasteless, environmentally friendly and can be in direct contact with the skin. It is resistant to high temperatures, ageing and durability. In addition, its color is bright, the styles are diverse, and you can freely use the color samples for on-site debugging. Its unique design, beautiful appearance, and very practical. 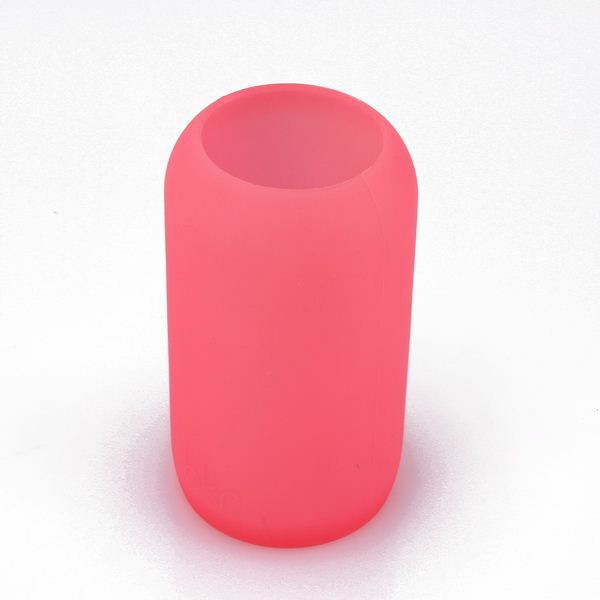 The glass water bottle silicone sleeve is made of 100% silicone raw material and has passed the national certification. The production process is non-polluting and belongs to environmentally friendly products. Excellent product technology, advanced technology and excellent research team to ensure. The product has good toughness, is not easy to change shape, is very firm, and the hardness can be customized according to customer needs. The product is easy to store and difficult to paste. The product has good heat resistance up to 300 degrees and a minimum of -40 degrees.